Wiseguyreports.Com Added New Market Research Report On -“Rubber Market 2019 Key Players, Applications and Future Demand Forecast to 2024 ”. 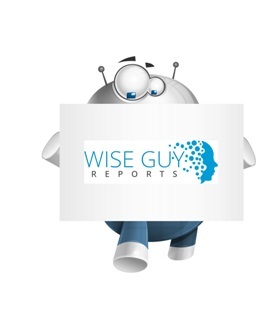 WiseGuyRerports.com Presents “Global Organic Rice Protein Market 2019 by Manufacturers, Regions, Type and Application, Forecast to 2024” New Document to its Studies Database. The Report Contain 137 Pages With Detailed Analysis. Natural rubber, also called India rubber or caoutchouc, as initially produced, consists of polymers of the organic compound isoprene, with minor impurities of other organic compounds plus water. Natural rubber is the prototype of all elastomers. The rubber is collected from the latex in a series of steps involving preservation, concentration, coagulation, dewatering, drying, cleaning, and blending. Because of its natural derivation, it is sold in a variety of grades based on purity (color and presence of extraneous matter), viscosity, viscosity stability, oxidation resistance, and rate of cure. First, for industry structure analysis, the natural rubber industry is comparatively fragmented by manufacturers, but, it is concentrated by regions. A variety of manufacturers ranging from large multinational corporations to small privately owned companies compete in this industry. Regionally, Thailand is the biggest production area of natural rubber, about 30.41% production market share of the global production in 2016, also the leader in the whole natural rubber industry. Then Indonesia, Vietnam, Malaysia, China and Indian are the main production regions in turn. Second, for production, the global production of natural rubber has reached 13030.2 K MT by the end of year 2016, with annual growth rate around 2-3% during the past years. Third, for the market, the global natural rubber market is worth over $26.6 Billion in 2016, according to our survey. The application can be classified based on end users, which are automotive, medical industrial use, consumer goods. Automotive use has been in traditional ways, about 65.74% of the all application, while consumer goods application is more diversified. Generally, the growth in medical use would keep increasing in the following years, as the surging demand in both developed and developing areas. This report focuses on the Rubber in global market, especially in North America, Europe and Asia-Pacific, South America, Middle East and Africa. This report categorizes the market based on manufacturers, regions, type and application.